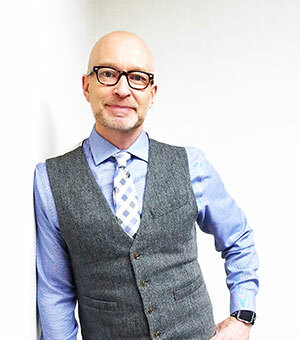 After graduating from Capital University Law School in 1994, and beginning his career as a litigator, Paul quickly discovered that he had a passion for teaching lawyers how to use technology and how to automate their practice. In the early years, Paul’s love of courtroom helped him modernize courtroom technology throughout the U.S., and now counts 300-plus cases within his trial presentation portfolio. Paul also continued to pursue other needs of law firms and legal departments. Building on his litigation tech knowledge, he quickly became an expert in paperless office strategies, document management, and legal-specific time management training. Today Paul teaches and coaches lawyers how to be more efficient with time, task, document & email management, and just as important, distraction management by offering customized time management workshops for lawyers and their staff. Paul is also a national speaker and frequent lecturer for CLE programs. He is the author of PowerPoint in One Hour for Lawyers published by the Law Practice Division of the ABA and Tame the Digital Chaos – A Lawyer’s Guide to Time, Task, Email and Distraction Management. He has contributed to dozens of our unique software manuals covering Microsoft Office, PDF applications, and many other programs designed to maximize the use of their legal-specific features. He was the 2011 chair of ABA TECHSHOW, and the 2012 chair of the ABA Legal Technology Resource Center. Speaking and working with clients keeps Paul on the road quite a bit, but when he is in Columbus, he’s at his Victorian home in historic Olde Towne East. Having restored the home from its bare bones, he is now focused on building an English garden and restoring his carriage house. Paul enjoys growing vegetables and maintains about 50 rose bushes throughout the property. He enjoys long jogs on Sundays that allow him to explore the Olentangy trail or wherever his travels take him. While his rose garden and Victorian home may seem sophisticated, don’t be surprised to find Paul in a pair of jeans drinking iced tea or a cold ½ beer on his porch with his dog, Romeo, and most likely, snacking on his guilty pleasure, a bag of Fritos with a tub of French onion dip.